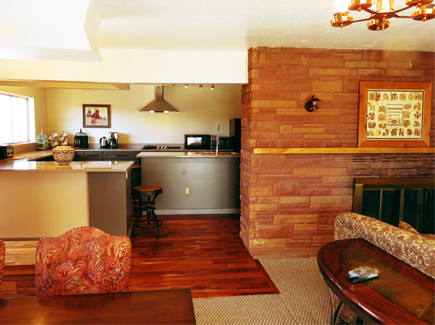 In addition to Motel Rooms we have a larger accommodation for larger parties. 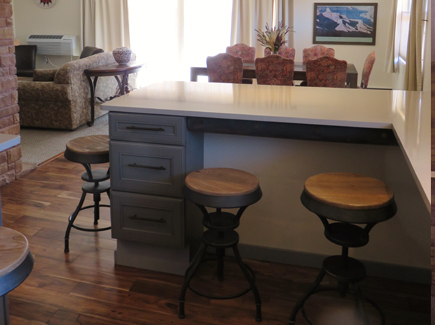 Our Trading Post Home can sleep up to 9 people, using the pull out couch and one rollaway. We ask $350.00 plus taxes per night. 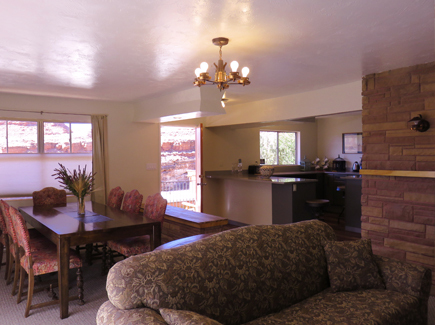 Rent the other 2 rooms on the same upper level and have the whole top deck to yourselves! One of these rooms has 2 queen beds and a twin daybed sleeping 5 people for $124.00. The other room has one queen bed for 104.00. San Juan Trading Post was built in the early 1900s, the primary reason for being there was to trade with the Local Navajo. Ray Hunt ran it back then and he and his family lived in the trading post. 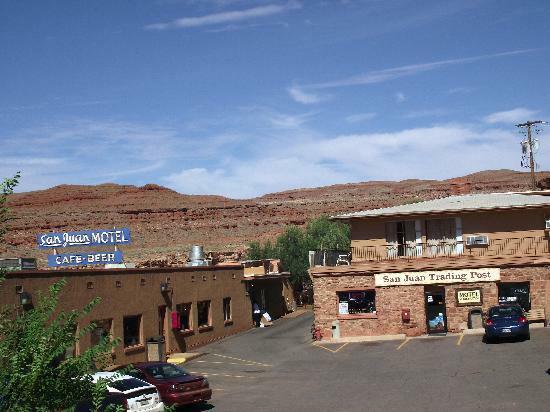 Exploration for gold, oil and uranium gave the town of Mexican Hat many boom and bust years. Eventually, in the late 1940s and early 1950s, Jim Hunt, who was the owner of the San Juan Trading Post at that time built a “modern structural addition” over the original trading post to serve as home for his family. Steel beams were placed along the existing building as well as over the existing roof creating a framework to build over. The original trading post building was left intact. Since it was still in its’ original 1950s condition, we decided it was high time we update. We created the kitchen to have an open space that connected it to the living/dining area. With 3 bedrooms, 2 baths, (one is the original 1950s look…. (we can’t change that!) a nice size living room/ dining room combination and a knockout modern kitchen your group can relax and enjoy yourselves.